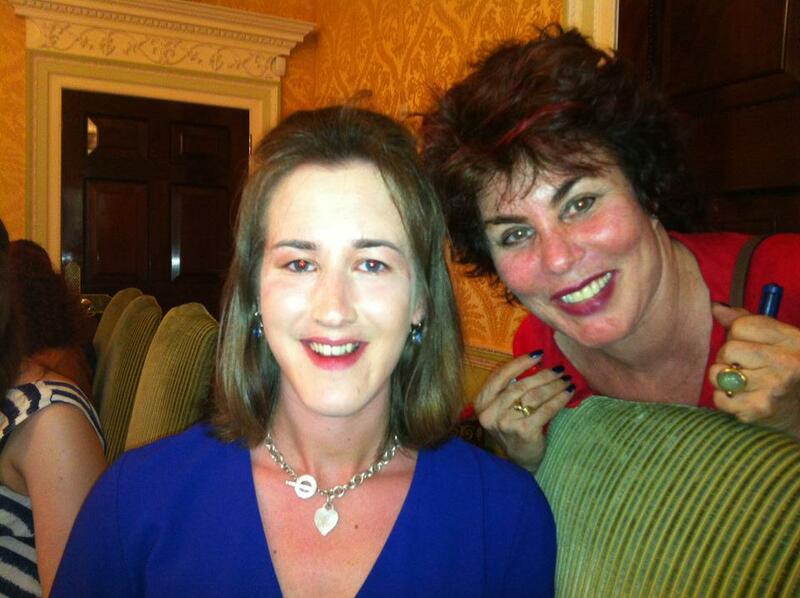 I had the most sensational afternoon yesterday (Tuesday) having tea with Ruby Wax at the Ritz. I am going to put a lot of thought and effort into this blog post to tell you all about it so am planning that at the moment and will publish it later this week. For now - I leave you with a photograph of Ruby and I taken today. I look a bit pasty next to her bright red shirt, rosey cheeks and red hair. I ran out of blusher - and the camera flash is not flattering! I look forward to it :-) Looks like you had a great time! Getting around to writing too, amazing afternoon! Picture of the two of you is lovely!